Spring’s experience as a therapist has included working with Family Practice Physicians and Psychiatrists in a medical clinic. In this setting she worked with patients dealing with physical and emotional issues, guiding individuals and families toward building bridges during life transitions. Her responsibilities also included working collaboratively with Family Practice Residents, training them to listen beyond the patient’s symptoms. Spring also worked for a non-profit agency with clients who were survivors of domestic violence and sexual abuse, helping them to envision and make new choices for a better life. Spring Hill is licensed by the State of Texas as a Licensed Marriage & Family Therapist, and Licensed Professional Counselor. Spring earned a Master of Science in Psychology degree with a concentration in Marriage and Family Therapy from Our Lady of the Lake University in 2005. Spring is affiliated with The Woodlands Institute for Health and Wellness and has offices in The Woodlands and Spring area. 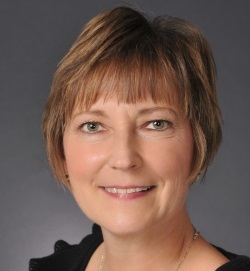 Her professional affiliations include Texas Association of Marriage & Family Therapists, American Association of Marriage & Family Therapists, and the International Society of Neurofeedback and Research.